Our fencers participated in their first competition. 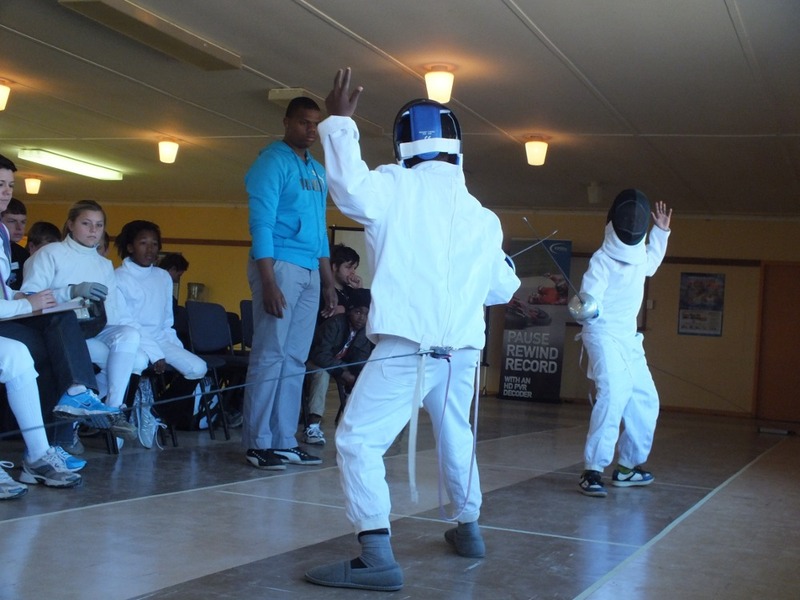 The event was organised by the NMB Modern Pentathlon Association in PE as the launch of Excelsior Fencing Club. 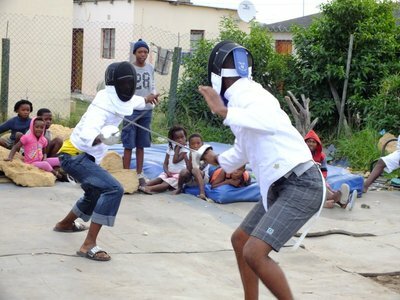 It was a well attended open day for anybody interested in starting fencing. The competition was a bit tough, with all the PE fencers being top fencers at national level. No wins for us, but well done for all the points scored. 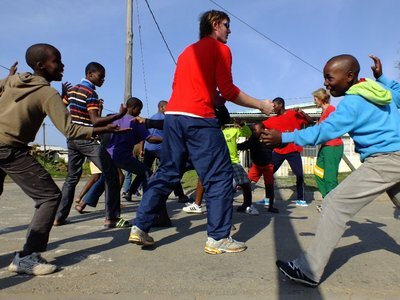 A warm thank you to everybody in PE for organising the great event and for looking after us very well. 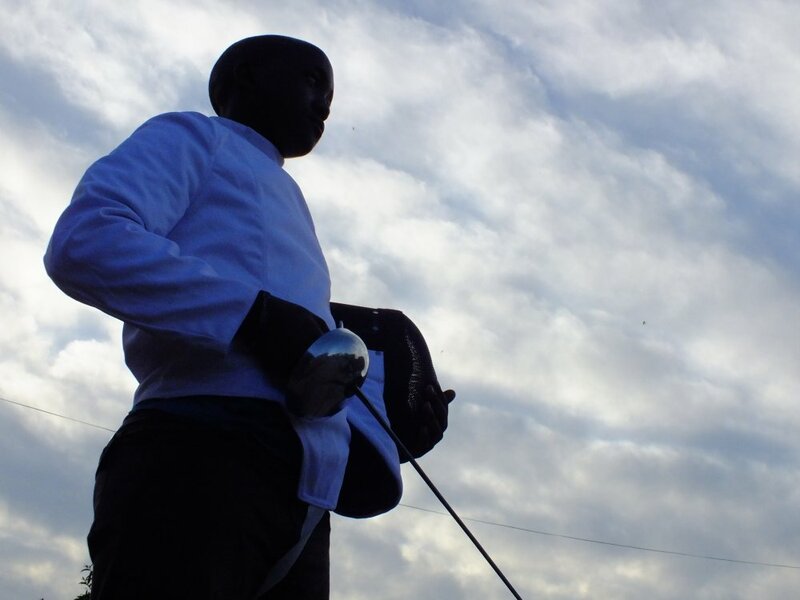 We are looking forward to the next competition, possibly at the end of the month in Franschhoek, close to Cape Town. 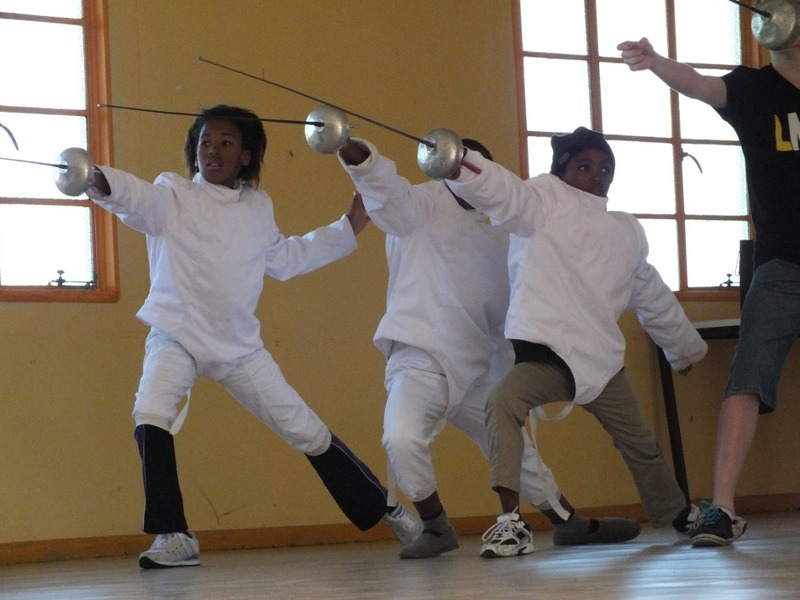 The Annual General Meeting of the Eastern Cape Fencing Association was held at our classroom in Nemato. It was followed by a clinic given by Jon Paul Raper, an international top fencer and modern pentathlon athlete, and his coach/mother Jessica Raper. The clinic was great and gave us a lot of insight in the secrets of top fencing and new knowledge for our inexperienced coaches. 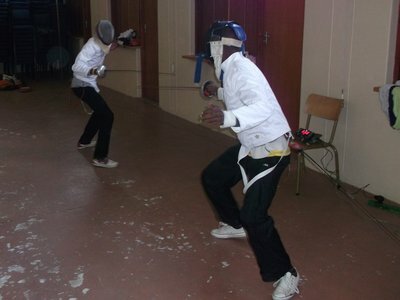 At last, after a year, we got our fencing equipment and clothes. This is our first training session. We were invited to a 3 day fencing camp in George. 13 people joined the trip. 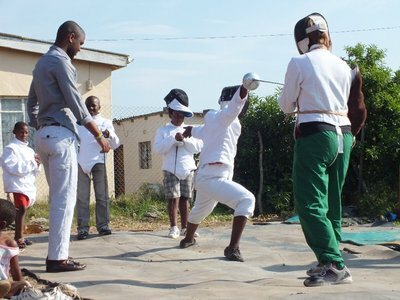 We got much needed coach knowledge during the camp to be able to start our own fencing club. Thanks a lot to the donors and organisers of the camp for inviting us!